Added by Citizen Reporter on July 3, 2018. 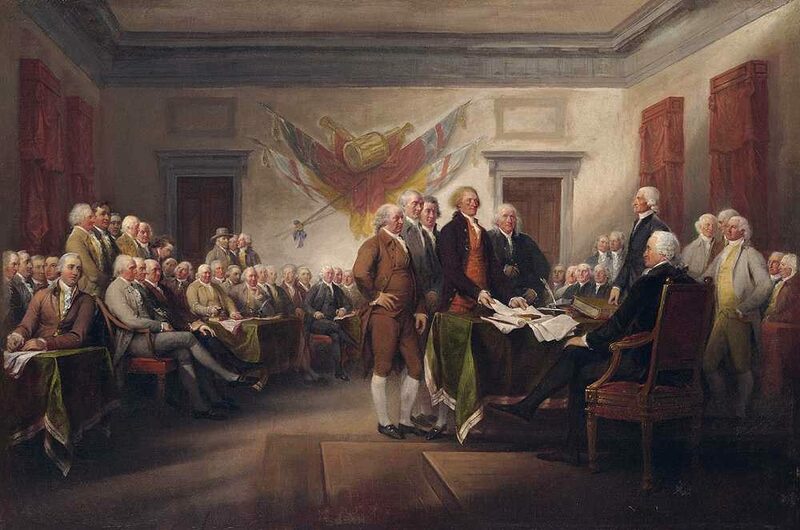 242 years ago Wednesday, our forefathers did an incredibly bold, brave and decisive thing. They actually broke away from and took on the most powerful country on earth, violating many of its laws, including treason, to do so. If you know American history, you would also know that this was not impetuous, sudden, rash or ill-thought out. They had numerous longtime, valid grievances against the British colonial government, Parliament and King George III, cataloged below. They had gone the whole due process route (sound familiar? ), then went into protest, civil disobedience and when all else failed- outright rebellion. If the British had been following their own founding documents- Magna Carta & English Bill of Rights, this might have never occurred. The Shot Heard ‘Round the World by Domenick D’Andrea. April 19, 1776 at Concord Bridge. 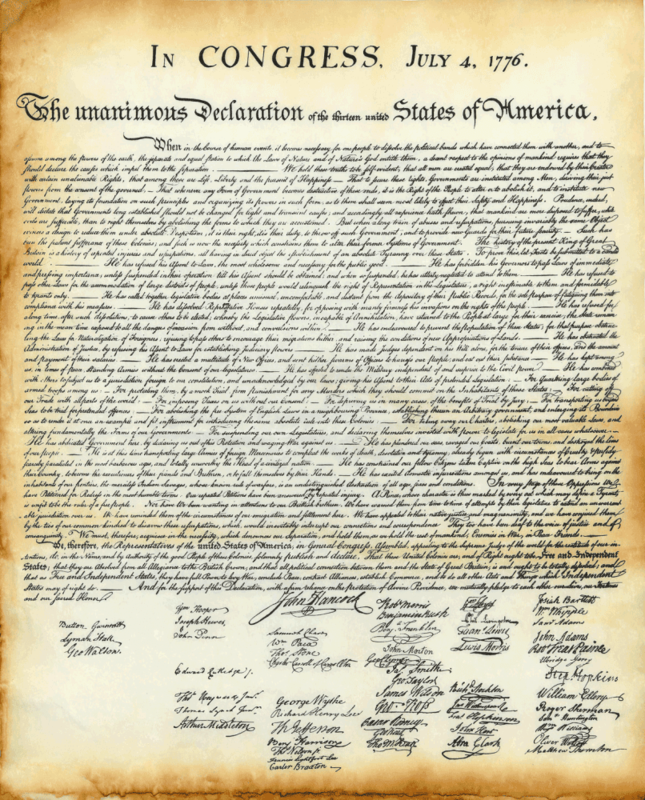 While the declaration was an uncompromising, unapologetic document, the Articles of Confederation, which followed it were weak, seeking to maintain high autonomy for the states, while setting up a loose federation to handle common needs. This proved to be inadequate to do the job and was followed by Constitutional Conventions to first set up the United States in its current form with the Constitution, then to go back a second time, to make up for what many believed were deficiencies in affirmations of rights, which led to the writing and ratification of the Bill of Rights. There have been 27 amendments to the original Constitution, which now looks like THIS. It hasn’t always been followed and has suffered some grievous violations even in recent years, which we need to work on. Americans Don’t Know Why We Celebrate 4th of July! ….. 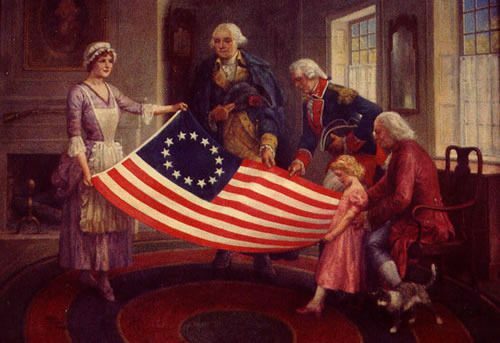 The significance of the flag design …. This is without a doubt one of the single strongest pieces I have read regarding memorializing the founding of the Nation that I have read. Bless you for taking the time and exercising the expertise and excellence of craft to write it. Tx, David. as you can see, some was borrowed. silently thank these patriots. It’s not much to ask for the price they paid.